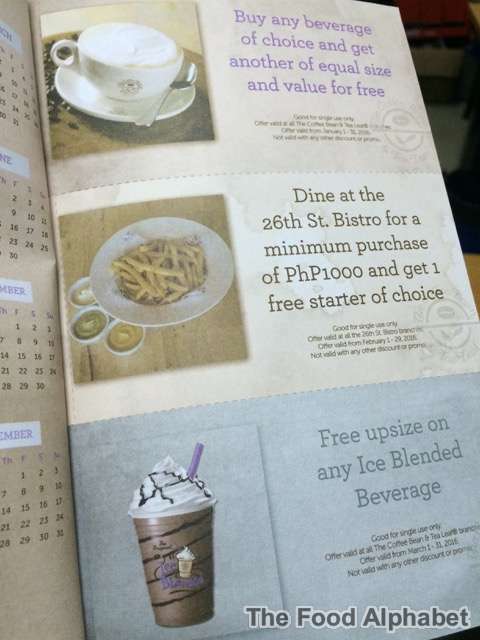 The Food Alphabet and More: Give flavorfully with CBTL + The CBTL 2016 Giving Journal Giveaway! It is the tradition of The Coffee Bean and Tea Leaf® partners with Real LIFE foundation, the Giving Journal’s beneficiary, fulfilling their tradition of supporting the educational needs of the less fortunate. To date, The Coffee Bean and Tea Leaf® has already sponsored 38 university scholars since 2011 – giving them the chance to fulfill their dreams, help their families, and improve their prospects for a brighter future. At present, the brand is proud to share that 13 of the sponsored scholars have already graduated. Evidently, The Giving Journal is certainly not your ordinary planner; it is a gift where the joy of giving and receiving it lasts well past the holiday season. 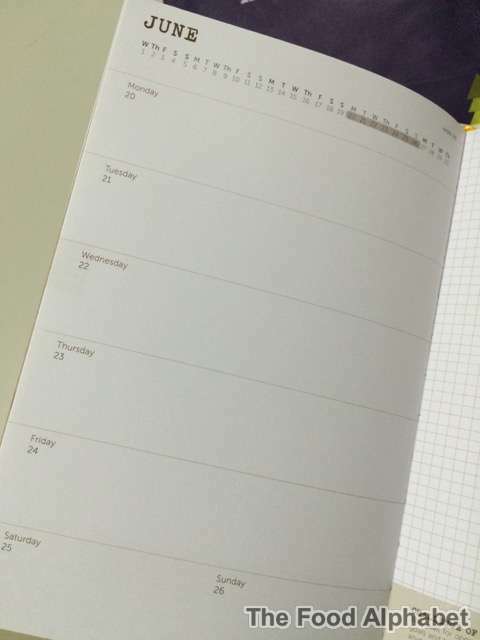 How to avail of the 2016 Giving Journal? 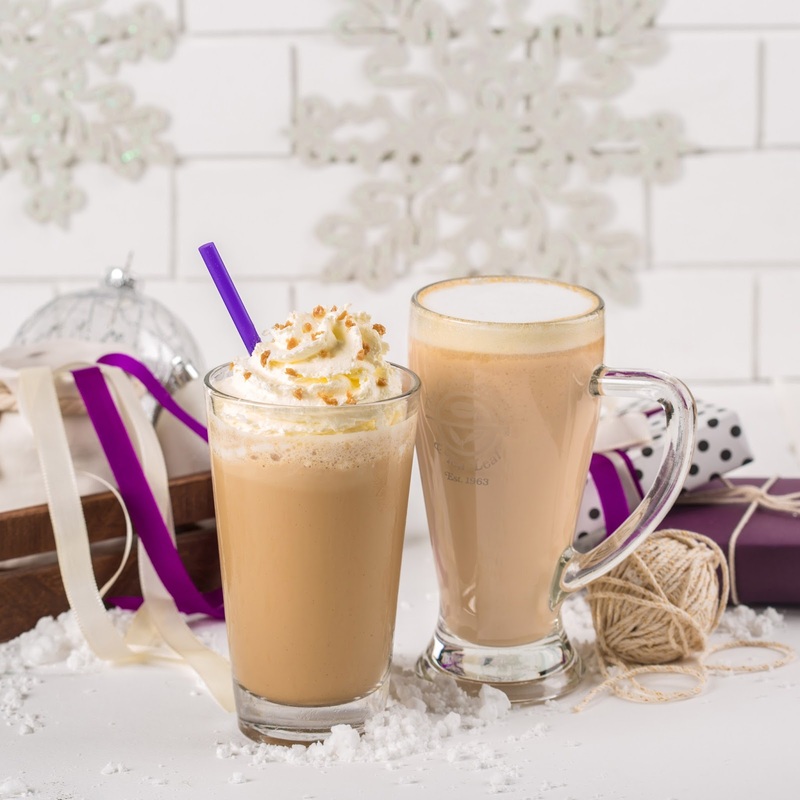 Purchase a regular of large sized Original Ice Blended Espresso/Coffee-based, or Tea-based beverage, Holiday Featured Beverage, or Hot Chocolate/Hot Vanilla, or CBTL capsules qualifies a customer to get a stamp card, and each card consists of 12 circles with corresponding purchased drink/item assignments. 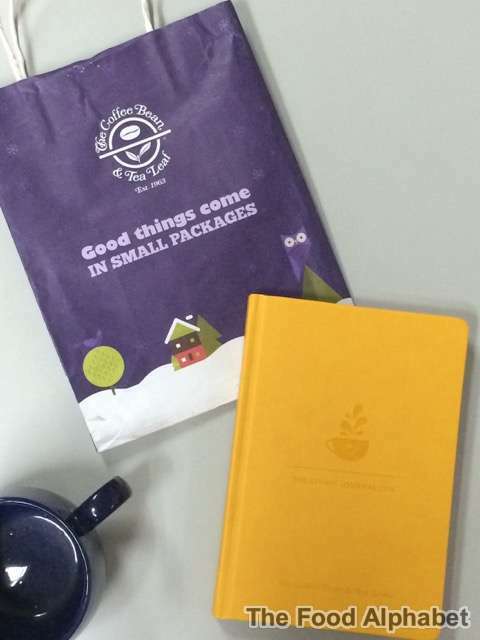 CBTL's 2016 Giving Journal is packed with freebies, with so much space for you to jot down notes and plan your whole year. 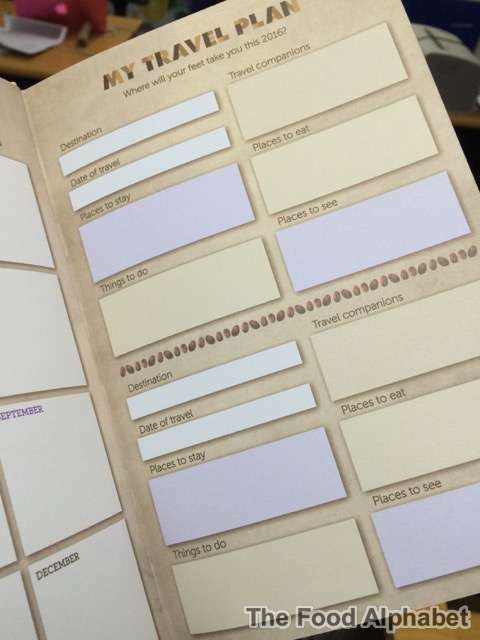 It has a weekly planner set-up so you can prepare for the week ahead. Now for the exciting part! 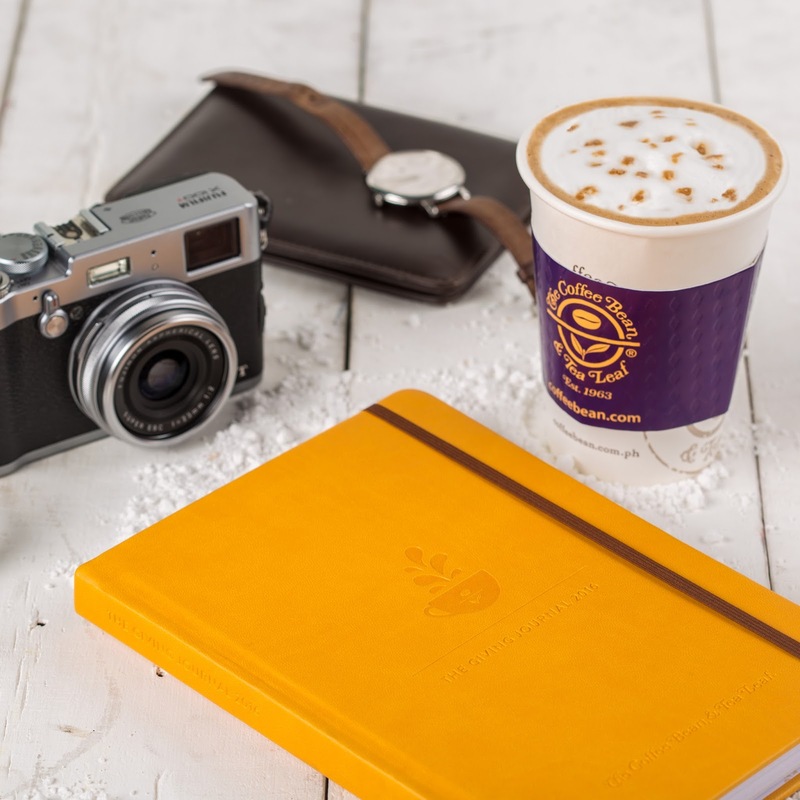 The Food Alphabet and CBTL is giving away one (1) CBTL Giving Journal (Mustard Yellow) to one lucky The Food Alphabet fan... just join in on the Rafflecopter giveaway below. We will send the planner to you wherever you are in the world, just make sure you have a valid email address and a mailing address as well.. Merry Christmas from The Food Alphabet and CBTL. How you can #GiveFlavorfully this Christmas? I am planning to give away cupcakes and cookies to my friends and officemates this year. Also, there is this guy where we live and my husband and I want to give him and his family something. I can #GiveFlavorfullyby baking some cookies as Christmas presents to relatives and friends. I can #GiveFlavorfully by reaching out to friends and relatives I haven't talked to for a long time. Maximize the season of giving by reconnecting. I can #GiveFlavorfully by ripples of good deeds. Hopefully the ripples would turn to tsunamis. I can #GiveFlavourfully by treating my friends a cup of coffee to energized and rip off all the bad vibes! Giving them a sweet treats they like. Puto de leche or red velvet cupcake with twist of nutella plus milktea! That's my way of #GiveFlavorfully this coming Christmas.. I can #GiveFlavorfully by ripples of good deeds. I can #GiveFlavorfullyby baking some deliccies as Christmas presents to relatives and friends. I can #GiveFlavorfully by giving the gift to my friends and relatives. I can #GiveFlavorfully this Christmas by sharing some Noche Buena items to our utility workers, so that they will feel that they are also important to us. I will #GiveFlavorfully this Christmas by baking my favorite crinkles and sharing it with the people I love! I can #GiveFlavorfully thru bonding with friends over dinner with good drinks. I will #GiveFlavorfully this Christmas by sharing the gift to the people I love! I can #GiveFlavorfully this Christmas by sharing God's message to those who do not know Christ and by helping those who are in need. Start by sharing your most contagious & sincerest smile. Offer help in the simplest form. Believe that these few things can create wonders that ripples along the way. I can #GiveFlavorfully by sharing blessings, food and most of all, God's love to the home for the elderly. I can #GiveFlavorfully this holiday season by making it more special,sharing the blessings i got,the simplest thought means a lot to others! I can #GiveFlavorfully by sharing blessings to others. It's not only Christmas that we should #giveflavorfully to others but it should be all-year round and coming from the heart. Loving and sharing should be never-ending. I can #GiveFlavorfully my love to my family, friends and even enemies for the spirit of Christmas. I can #GiveFlavorfully this christmas by sharing my blessings to others. i can #GiveFlavorfully this christmas by spending quality time with friends and loved ones. I can #GiveFlavorfully this Christmas season by continuing our annual family tradition of spending time to donate, visit and play with the orphans of St. Rita Orphanage. This time my son is big enough to join us in this tradition. I can #GiveFlavorfully this Christmas by showing our children the real essence of why we celebrate Christmas in the first place -- and that is celebrating Christ. This Christmas I can #GiveFlavorfully by making sure I have time to spend for my loved ones and friends. After all, time is one of the best gifts you can give to the people you care about. I can #GiveFlavorfully this Christmas by giving away baked goodies to my officemates, friends, relatives, and the guards in our company. I can #GiveFlavorfully this Christmas by giving time to my famy family and friends. I will #GiveFlavorfully my time, blessings and love to my family and friends. I plan to #GiveFlavorfully this Christmas by giving and sharing unconditionally. without expecting anything in return. How can you give #GiveFlavorfully this Christmas? #GiveFlavorfully for me means giving your time and whatever talent/gifts you can to others. Serving others through our talents is the best way to be jolly and giving this Christmas a flavor like no other. I can #giveflavorfully this Christmas by spending time in a home for the aged, giving them gifts, sharing them food, making them smile/laugh through entertainment and showing them love and care by just being there. Just what we did before in our church organization during Christmas. #GiveFlavorfully this season by giving without expecting any in return. when my mom died in october 2014, i continued her project and will continue her #GiveFlavorfully tradition of giving small Christmas baskets to homeless/street kids.